Providence Baptist Church, in Raleigh, NC, was founded in 1978 under Pastor David Horner, and has been in our current facility (an old bankrupt hotel) since 1992. We run three services on Sunday (two contemporary, band-led services and one band/orchestra blended service with a choir), and average about 2000 adult attendees each week. The purpose of Providence is to glorify God by introducing all peoples to Jesus Christ and growing up to love and worship Him. We try to accomplish this by being connected with Christ and others, growing in truth and love, serving the church and the community and going to the city and the world to tell others about Christ. Our broadcast ministry plays a large part in this, not only allowing the members of our church who can’t make it to the service to still participate in our community, but also providing an opportunity for non-members to watch, learn and find Christ through us. We have recently partnered with a small Ukrainian church, and they incorporate our stream into their house-based services. We started live streaming our services in 2011, learning and improving as we go. A little over a year ago, a representative from Camera Motion Research (CMR) first approached me after one of our events. During this event, we have some of our crew members moving throughout our Worship Center with cameras, cables in tow, to produce images onto our screens. CMR offered the Radian Pro – a solution that would allow us to broadcast images from anywhere in our Worship Center without the hassle of cables. At that time we were not considering a wireless video system based on past experiences of high cost and latency to reach an acceptable degree of excellence. Radian Pro is a wireless HDMI-based video system. After trying it out, we were surprised at the quality and low latency that the system offers for the price point. We can now position the camera wherever we would like to get the shots we want. Depending on whether we are dealing with just a band or a choir and a 30 piece orchestra, we can place the camera to get a shot of the drums, strings, or percussion (just to name a few) without cable runs or taping. Because the Radian Pro is portable and easy to use, we can take it into our other “big” rooms to do interviews and other shots where traditional wired cameras are not an option. It has allowed us to enhance our events and services to allow people in the Worship Center, the overflow rooms, and watching the live stream to have a better worship experience. 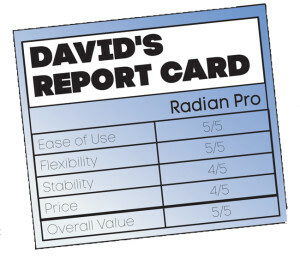 We currently run our video system at 720p at 59.94 frames per second and have had no issues with the Radian Pro. While we have not fully tested the limits of its stated range (300ft line of sight), it has successfully worked on a static shot from just over 100 feet away through two walls (sheetrock & metal studded). It has also worked well moving amongst a room of standing and dancing people with no drops, as well as on our very full stage of people, instruments, wires, lights, and audio wireless systems. After the initial pairing of the transmitter and receiver, we have had no trouble getting them to link up. Within seconds of turning them both on, the two are linked and the video feed is active. 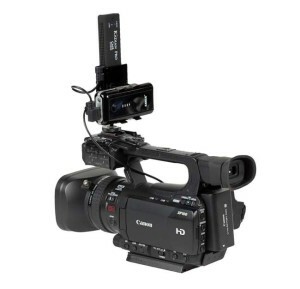 It is HDMI to HDMI so if you need SDI on either end you will need an adaptor. The initial adaptor we tried had slight color variations, but CMR replaced it with a different one that works well. The only issue so far has been the color saturation (something I am very particular on), but CMR is actively looking into improving it. 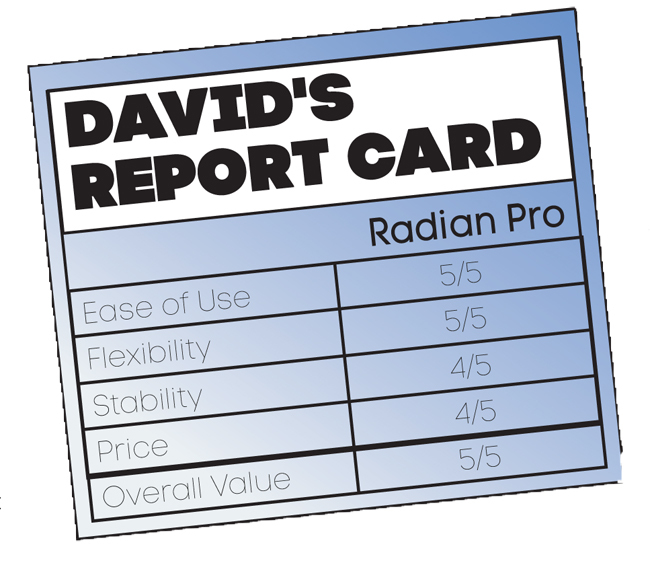 We have enjoyed the options the Radian Pro has given us and I would highly recommend contacting CMR to see if it is right for you.